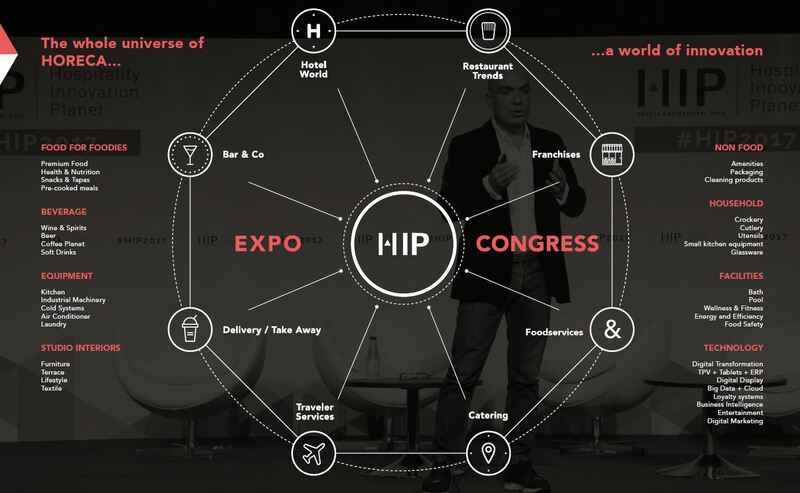 During 3 days a year, HIP (Hospitality Innovation Planet) becomes the meeting point and innovation event for the HORECA sector. A creative epicenter that hotel and catering professionals shouldn’t miss. Innovation, trends, products and specific solutions for each of the industry segments are presented and at the same time an agenda for every business profile is provided. A place where you can meet the essential knowledge to need to improve your business. The whole universe of HORECA… A world of innovation!